A new book featuring Naguib Mahfouz’s previously unknown stories is now being published by Dar al Saqi and will be launched on the author’s 107th birthday, 11 December, Al Ahram reports. English translations by Roger Allen, who also translated other Mahfouz books such as ‘Mirrors’, will be released next autumn. The book will also feature manuscripts demonstrating Mahfouz’s editing process, which reveal how his handwriting was affected by the knife attack that occurred after they were written and before they were published. The short stories were discovered by culture journalist Mohamed Shoair, who was in the middle of writing his book which chronicles the controversy around Mahfouz’s novel ‘Awlad Haretna (Children of Gebelawy)’. As Shoair was documenting the publishing history of the novel, he went on a mission for several years to search through thousands of archives, books, magazines, and newspapers. 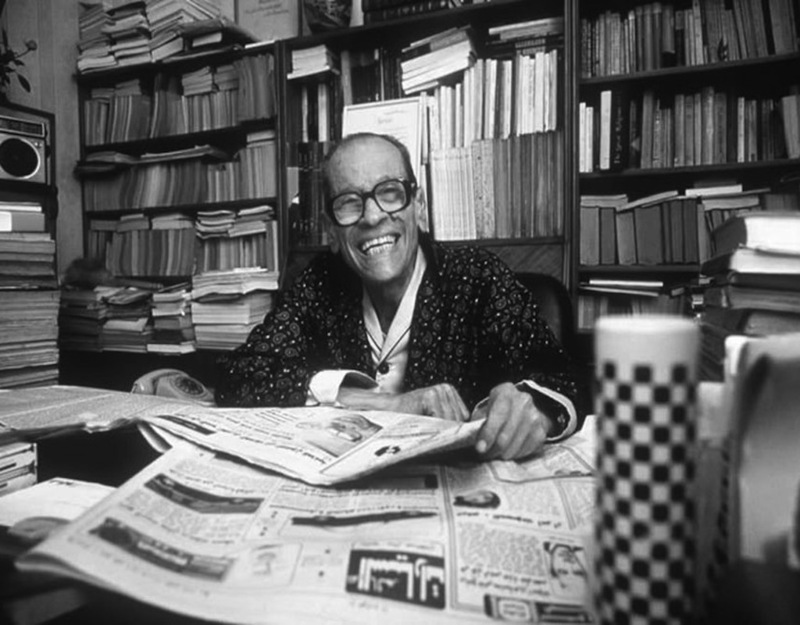 Throughout his search, he came across a file of 50 short stories written by Mahfouz that were entitled “for publishing 1994”. 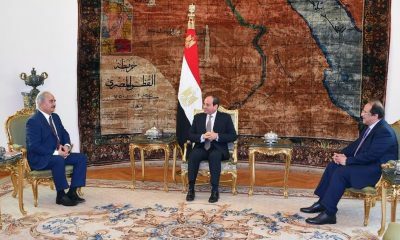 Some of the stories were published in Nisfeldunia magazine issued by Al Ahram, before the failed assassination attempt of Mahfouz in 1994. Yet Shoair found that 18 of these short stories were never published, which inspired the idea to publish them. Naguib Mahfouz was an Egyptian writer who won the 1988 Nobel Prize for Literature, the only Arab writer to have ever done so, and published over 150 short stories, 34 novels, movie scripts and five plays over his 70 year career. He was born into a lower-middle class Egyptian family in 1911 with a strict Islamic upbringing, as he once stated, “you would never have thought that an artist would emerge from that family”. After receiving his bachelor’s degree in philosophy from Cairo University in 1934, he spent a year working on an M.A. in philosophy before deciding in 1936 to discontinue his studies and become a professional writer. Among his most famous works are the ‘Cairo Trilogy’, ‘Adrift on the Nile’, the Thief and the dogs’ and ‘Rhadopis’. He was also known to be an enthusiast of existentialism and ancient Egypt, using both abundantly in his literary works. He remains one of Egypt’s, and the Arab world’s, most celebrated writers.